What Office Design Concepts Are Ready for Retirement? 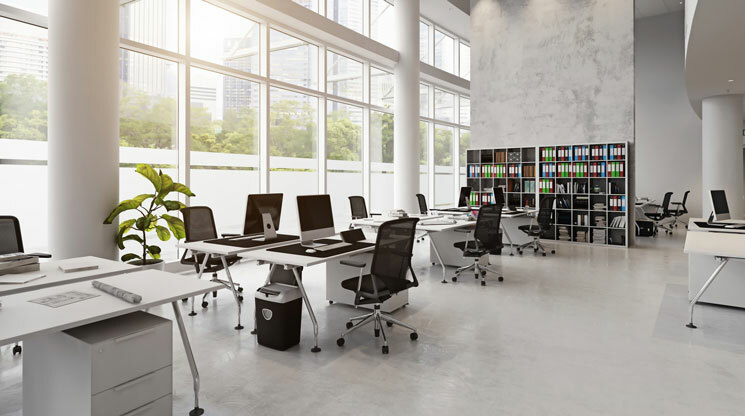 When it comes to office design, most people are interested in learning about the changes being made to make work more convenient. However, have you ever stopped to think about the opposite idea? As new office design concepts are introduced, some of the outdated ideas and practices are left by the wayside. What parts of office design may be retired over the next few years? If you have ever discussed office design with someone, chances are you’ve heard this question thrown around: why are we still using cubicles? A staple of early office design, cubicles are among the first things you think of in regards to the traditional work environment. Despite being an iconic part of office design, you may have noticed that fewer offices have been using them. Some designers see cubicles as a way to keep workers focused, while others believe they make it difficult for workers to collaborate and socialize. As a result, some offices have replaced cubicles in favor of more open designs. Even when an office is designed to offer private spaces, cubicles are not always used. It’s hard to say whether or not cubicles will be gone for good, but some companies are phasing them out. For many years, designers have used color and art to give office spaces their own unique aesthetics. However, instead of focusing on a specific color scheme, some office designers choose to focus on specific textures when designing the rooms of an office. Textures such as brick and wood can help make a room pop, thanks to their distinct styles. In addition, it’s believed that mirrors could replace pictures and other designs on office walls. They’re easy to keep clean, and they provide a distinct look that can make your office look more professional. Traditional wall art may have less of a focus as designers shift their focus to floor and wall textures. For a long period of time, office designers kept plants and other aspects of nature out of the office. This may have been the result of an idea that an abundance of plants could be distracting to office workers. It’s now been proven this is not the case, as many offices now try to incorporate as much plant life as possible. Not only do plants help to spice up the look of an office, but they also clean the air and keep workers healthy. In addition, the plants help remind workers of the outside, which may help them resist the urge to take multiple walks on a sunny day. Overall, the idea of keeping plants out of the office is an outdated concept. One other aspect of office design that is outdated relates to the furniture used at work. Some companies have been around for decades, and their offices are typically designed for the people who have been around for that long. As younger workers move into the workforce, older furniture designs will need to be replaced in favor of modern alternatives. Tables that were designed for typewriters and other older devices are not suitable for computers, and are uncomfortable for younger workers. These old designs are not ergonomic, and they can make it hard for young workers to be productive. Companies that still use older furniture need to bring newer designs in if they plan to hire younger people. Office design is constantly evolving, so don’t be too surprised when some of these commonplace designs and ideas disappear.